Each Comark product is warranted to be free from defects in material and workmanship under normal use and service. The warranty period is one (1) year, unless otherwise stated, and the warranty period begins on the date of shipment. Temperature probes are warranted for six (6) months. 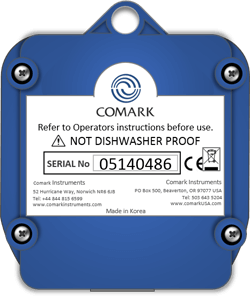 The warranty extends only to the original buyer or end-user of a Comark authorized reseller. 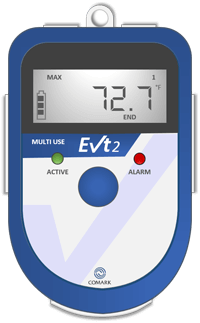 This warranty does not cover damage resulting from normal wear and tear, abuse, misuse, accidental breakage, negligence, defects caused by modifications, repair and servicing not made or authorised by Comark Instruments, damage caused by handling, operating, storing, or using the product outside the intended uses described by our product literature. Disposable batteries are also exempt from warranty. Warranties on dishwasher safe models apply only where the product has been used or cleaned in a commercial dishwasher. 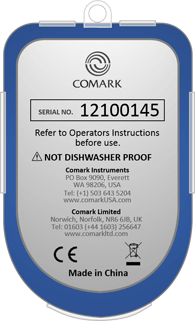 Comark Instruments products are not suitable for use or cleaning in domestic dishwashers. Comark’s warranty obligation is limited, at Comark’s option, to refund of the purchase price, free of charge repair, or replacement of a defective product returned within the warranty period. Products must be returned to Comark or one of Comark’s authorized service agents. This warranty is the buyer’s sole and exclusive remedy and is in lieu of all other warranties, express or implied, including but not limited to any implied warranty of fitness for a particular purpose. Comark shall not be liable for any special, indirect, incidental or consequential damages or losses, including loss of data, whether arising from breach of warranty or based on contract, tort, reliance or any other theory. Since some countries or states do not allow limitation of the term of an implied warranty, or exclusion or limitation of incidental or consequential damages, the limitations and exclusions of this warrant may not apply to every buyer. 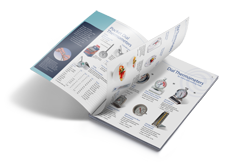 You can use this handy tool to work out the age of your Comark Thermometer and, in so doing, determine if it is still within warranty. 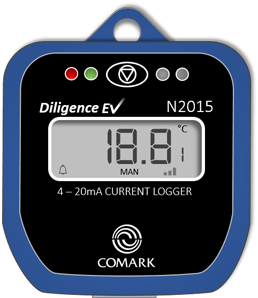 *For items that have been purchased through a Distributor, Comark will honour a three month discretionary stockage period, over and above the date of device manufacture. To return an item for repair or replacement (terms and conditions apply) or due to an incorrect description please refer to our Product Returns Page by Clicking Here.